Inspired by Toni Fergusons ‘Herbed Cauliflower Couscous’, this recipe will entice even the biggest of rice lovers! 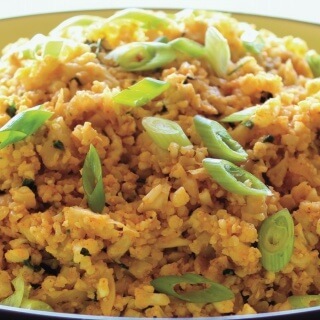 An exciting step up from ‘plain’ cauliflower rice, it can be served as an accompaniment to curries or as a meal on its own with grilled protein. This healthy thermomix recipe is also easily adjusted for the HCG P2 by using water instead of oil. So much flavour! Pairs amazingly with the chicken tikka. Will make this frequently. A fantastic recipe, so quick easy and delicious, low in carbs and full in flavour, you have no idea you are eating cauliflower either. Not normally a cauliflower fan but this is delicious! Love this!! Makes for a nice light curry instead of using rice. So quick and easy to make, and full of flavor! So Delish! With curries or with a spoon on its own. Such a flavourful and easy recipe! I made this delicious cauliflower rice with the Chicken Tikka Masala and both were sensational. 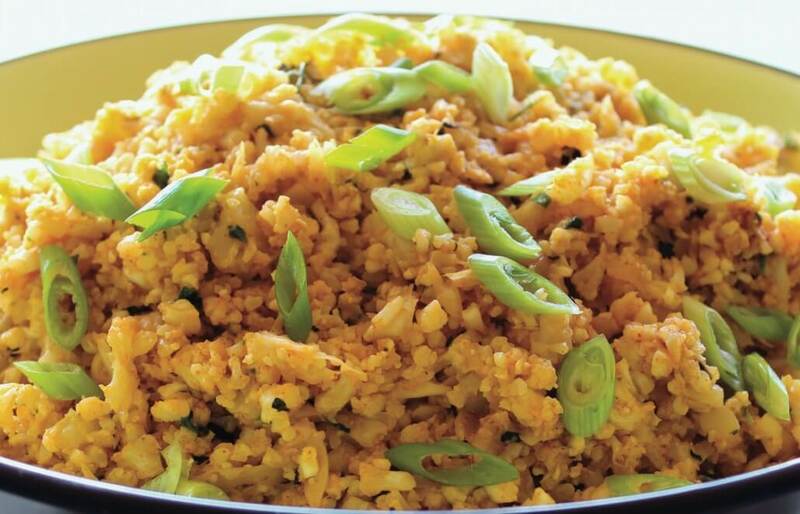 I’ve made cauliflower rice for 12 months and this version is hands down the best. “I don’t eat Indian OR cauliflower” says my bro-in-law. Devoured the cauli rice & butter chicken. “Oh, your father won’t eat cauliflower.” says Mum. Dad polished off his entire bowl. Yum yum yum. My guests didn’t even notice they weren’t eating rice. Lol. fabulous tasty recipe wich is a regular in our household loved even by the fussy teen.